View a full-size online demonstration of this product. View a small-size online demonstration of this product. System Requirements: IBM compatible PC, Windows 95,97 or NT; 10 Mb free hard disk space; CD-ROM drive; 8 Mb RAM; at least 800 x 600 screen resolution. 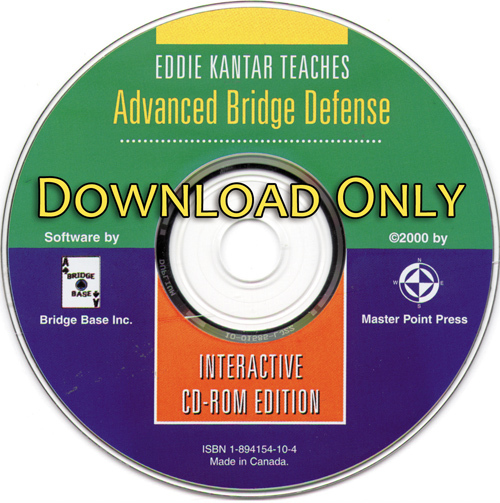 Software by Bridge Base Inc.
Eddie Kantar teaches Advanced Bridge Defense - Interactive CD-ROM Edition is based on the bestseller that was named 1999 Book of the Year by the American Bridge Teachers Association. Topics covered (which include planning the defense, inferences, various ways of counting the hand, developing extra trump tricks, falsecarding, and lead-directing doubles) are explained so thoroughly that even experts will benefit from studying them. This interactive edition is an educational and fun software product that presents the same material in interactive mode, giving you a chance to try the questions, practice hands and tests. At the same time, the animated diagrams make following the play of card combinations or complete hands a snap - and you can repeat an example as many times as you like! For more detailed descriptions and a table of contents, see Eddie Kantar Teaches Advanced Bridge Defense. 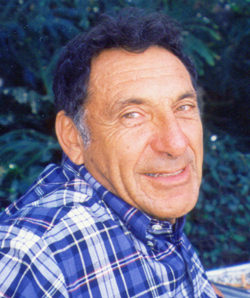 Eddie Kantar (Santa Monica, CA) is one of the most popular and prolific bridge writers in the world. A winner of two World Championships, and a member of the Bridge Hall of Fame, his many books include Modern Bridge Defense, Advanced Bridge Defense, the hilarious Kantar on Kontract, and of course, Roman Keycard Blackwood. His work appears regularly in many bridge magazines around the world. "Why buy a CD rather than a book? That is the question I set myself the task of answering when I inserted the CD's into my computer and started clicking. This would be a good test, since although I have owned a computer for a good many years, mainly for word-processing, I am not very conversant with CD's such as these, having never really had the time to indulge. I was immediately and pleasantly surprised at how easy they are to use and negotiate. You need to know nothing technical, apart from the ability to feed the CD into your computer, because the program tells you in a very easy-to-understand way how to proceed. As I clicked through the initial pages, I could see little difference between the CD and a book, until suddenly the interactive pages appeared and all four hands could be played just as at the bridge table. This is the real attraction, and it does make an enormous difference. The interaction is particularly good on the Practice Hands and the Test Yourself, but there are many other areas where it plays an important part. The quality of instruction is assured when you have Kantar in charge. If you've never clicked at bridge, why not try your hand now?" "Rating SUPERB, especially for those who enjoy interactive learning." "A quality product from every aspect." "A year ago I was praising a matched pair of books by Eddie Kantar, Modern Bridge Defense and Advanced Bridge Defense. The interactive CD-ROM editions are even better."